Just as is the case with so many other wonders of technological advancement, projectors have only gotten better, smaller, and less expensive with time. This only gets more true when you think of all the times you would pull out the projector of your childhood to show slides or home movies. Not only were they heavy, but they were also difficult to use, not to mention expensive. 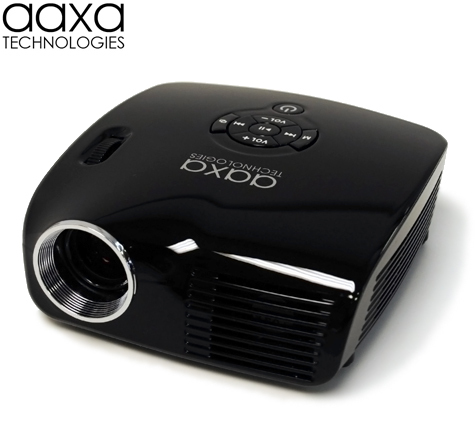 Now comes AAXA, a projector that’s so small you can fit it into your pocket. Not to be outdone, and for less than $200, several prominent technology manufacturers have gotten into the act of making projectors that can display practically anything, from any medium, anywhere, and still fit into a shirt pocket. Samsung has a projector that’s about the size of a cigarette pack, and Displaytech has one that would fit nicely in an average thumb-drive. And certainly you must think that to get such a small size and a like price, you must have to sacrifice image quality. Fortunately, you would be wrong. Not only that, but makers are talking about tiny projectors changing the way art, indoor advertising and so many other venues are viewed. We can hardly wait.